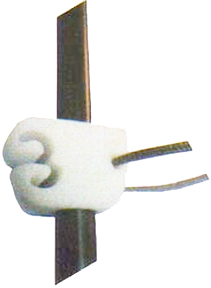 This cable guide incorporates a tough Teflon filled material along with an innovative design that allows you to attach the pull cord from our Fall Away Rests. The set screw will secure the pull cord and allow you to tune your rest in minutes. The Slippery Slide can also be used with most other fall away rests.